The following was originally published via the #GlobalPOV Blog on the Blum Center for Developing Economies website. I co-authored the piece with Prof. Ananya Roy, Education Director of the Global Poverty and Practice Minor at the University of California, Berkeley. In it, we seek to explain the logic behind The #GlobalPOV Project’s Twitter integration and experimentation. By now, it’s common knowledge that Twitter and other forms of social media are transforming the ways in which our students engage with each other (and celebrities) outside of the classroom, but what about the ways in which these media tools can transform student participation and interaction during class? Or, inversely, the ways in which the classroom can transform the tone of discussions and sharing on social media? And, in turn, the ways in which these digital platforms can empower a generation of digital natives to speak up and weigh in on matters of public importance? Could Twitter encourage substantive discussion in large lecture hall classes with hundreds of students? Graham teamed up with another UC Berkeley colleague, Ananya Roy, chair of the Global Poverty & Practice Minor, to put the question of scale to the test. Roy teaches a class on global poverty every fall that attracts at least 600 students. Early this semester, the two unleashed a live twitter feed into the auditorium, and the experience was wild. The novelty of the experiment was evident on the first “Twitter Day” when Roy projected the live feed during the entire hour and half session. The students were instructed to attach a designated hashtag— #GlobalPOV, short for “global poverty” and “global point of view”—so their tweets would file into the same feed and stack on top of each other. In the initial moments of class, tweets of excitement filled the feed: “Social media in the classroom: look what’s happening at Cal”, and “Hey I just twittered, and this is crazy. Hi Ananya, so tweet me maybe?” Others posted Instagrammed photographs of the lecture hall. Fifteen minutes into the class, the feed took on a more substantive tone, and the debate that unfolded—regarding two warring paradigms of poverty action, aid, and development—was fast and furious. 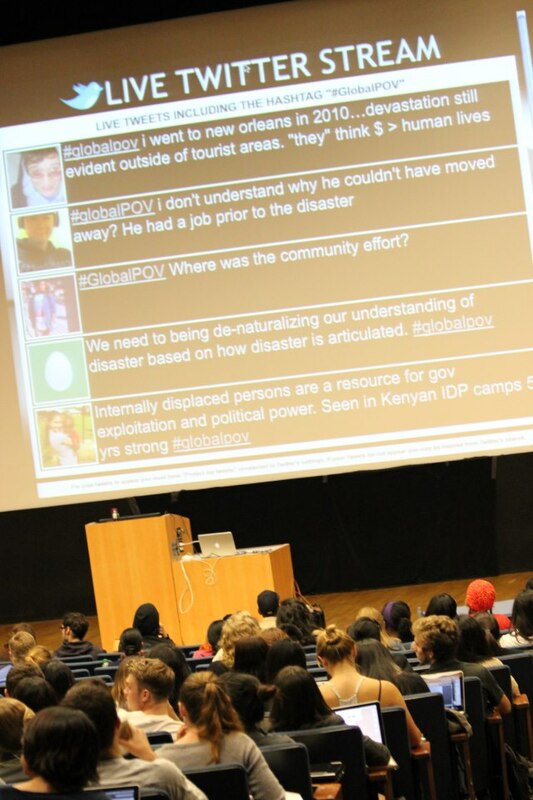 Unlike other classroom technologies, such as the clicker, which generates numerical (anonymous) representations concerning the veracity of multiple choice answers, the live Twitter feed allowed students to maintain their identities, post their opinions, state disagreements, or retweet each other as a way of reinforcing arguments they found convincing. Some students tweeted that they would have never dared to speak up in a class of 600 students but now found their voice. The students continued tweeting beyond the conclusion of the session and into the evening, creating a “24-hour classroom,” according to Graham. Today, only a few weeks later, the #GlobalPOV hashtag has a life of its own, with students and alumni posting their tweets. For Roy, the experiment marks a dramatic democratization of the classroom, one in which she is not the only or dominant voice. Roy now regularly draws on student tweets to shape the lecture summaries she prepares for classes. Following Graham, she calls these “crowd-sourced” lecture notes, or highlights from a “many-to-many” lecture. 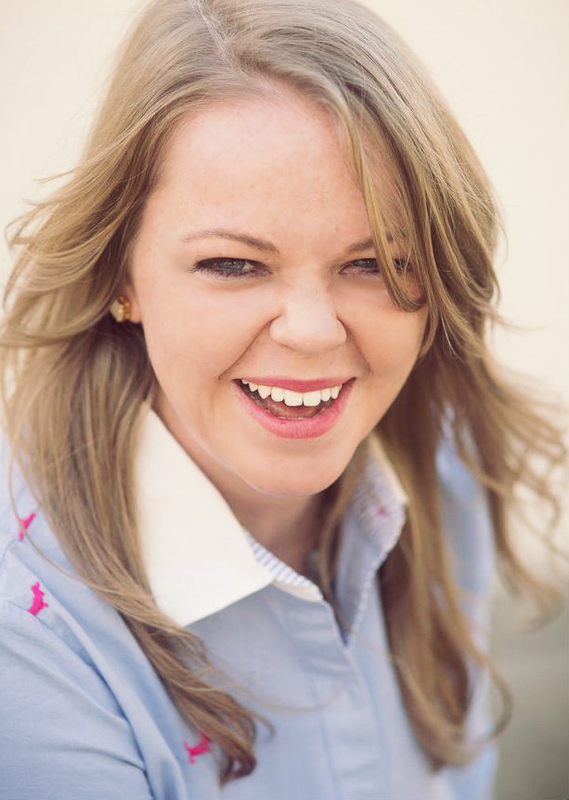 The Twitter feed gives her a sense of what students are reading and debating beyond the classroom, and it allows her to post provocations and questions that may keep them thinking about the course material on days that they are not in class. Graham and Roy continue to experiment with different uses of Twitter in the classroom, as they have observed the tool’s potential for transforming the learning environment, particularly in a large undergraduate class setting. More audaciously, however, they claim that the classroom, especially the public university classroom, has the potential to transform the landscape and intellectual relevance of the Twitterverse. The Arab Spring foregrounded the contributing role of Twitter, Facebook, and other media in social change, as these tools enable the spread of ideas and the formation of activist networks, especially in contexts where there are severe limits on freedom of speech and expression. But in the United States, where freedom of speech is a first amendment right, social media play a different role. They allow us to know what teen idol, Justin Bieber, who has over 28 million Twitter followers, is doing on an hourly basis. In a quite separate domain, American political parties and their candidates use Twitter for partisan mobilization, especially during election seasons. Cable news shows and, more recently, competitive reality shows run live Twitter feeds during their broadcasts. Despite the popularity of Twitter among celebrities, politicians and certain professional classes, Graham and Roy argue that young, college-aged Americans, the so-called “Millennial Generation,” are largely disengaged from or disenfranchised in the Twitterverse. They either don’t want to or simply don’t know how to tweet. For many of these millennials, Facebook is their comfort zone, and Facebook cultivates a (seemingly) private network of “friends.” Thus, the public-ness of Twitter and its parade of “followers” who can join without permission or privacy settings can be perceived as discomforting and disorienting. The result is a missed opportunity. The #GlobalPOV experiment can thus be seen as an intervention in the relationship between youth, social media, and the public sphere. Roy’s class has always espoused, as one of its learning goals, that millennials must become active participants in the public debates about society, economy, and politics. Using Twitter in the classroom, especially in the public university classroom with its diversity of life experiences, insists that millennials think of themselves not as Twitter “followers,” but rather, as the shapers of public debate, willing to be accountable for their publicly expressed opinions. Indeed, each tweet can be thought of as a micro op-ed. What matters here is that these micro op-eds are threaded together by a common theme – in this case, global poverty. They thus unfold within, and transform, a field of inquiry. Often, tweets are only a micro-second away from directly connecting with iconic public intellectuals and interlocutors—add @username to a tweet and millennials are suddenly in direct conversation with Jeffrey Sachs or Thomas Friedman. This is the wager that Graham and Roy are making: the dislodging of a generation of digital natives from their private digital spaces of comfort, and their induction into the lively and rowdy commons of public opinion. To do this, they argue, requires the interface of the classroom and the digital commons. This is also the transformation of Twitter, in the American context, from the dissemination of entertainment and political news to an inter-generational public sphere that enables and empowers young people to take charge of public debate. A project in the making, Graham and Roy note that this is what democracy looks like.